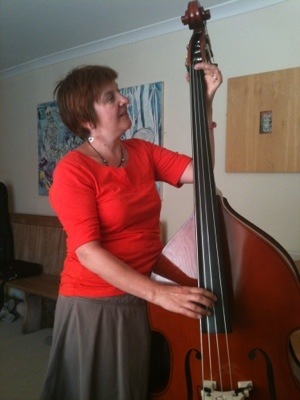 Here I am with my new double bass! Learning to play it is quite hard on my fingers! It’s also more awkward to manoeuvre than my ukulele!